In this info-packed guide, we review the best VPN services for 2019. We look at different key metrics and analyze the top VPNs for 9 important use cases. No matter your VPN needs, this guide has you covered. Do I really need a VPN? The world is coming to recognize that a VPN is a necessity. It seems every big company is trying to get your personal data (with or without permission), and every government is trying to spy on you or control what you can do online. 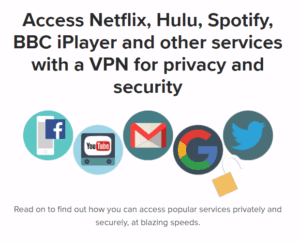 VPN Services – Which are this year’s best? A quality VPN is a general-purpose privacy machine, capable of helping you deal with a huge range of Internet problems. It is no wonder there are hundreds of VPN services available. However, not every VPN is equally good at every function. That’s why we took a slightly different approach when picking the best VPN services of 2019. There are lots of articles out there anointing the Best VPN (or Best VPNs) of 2019. 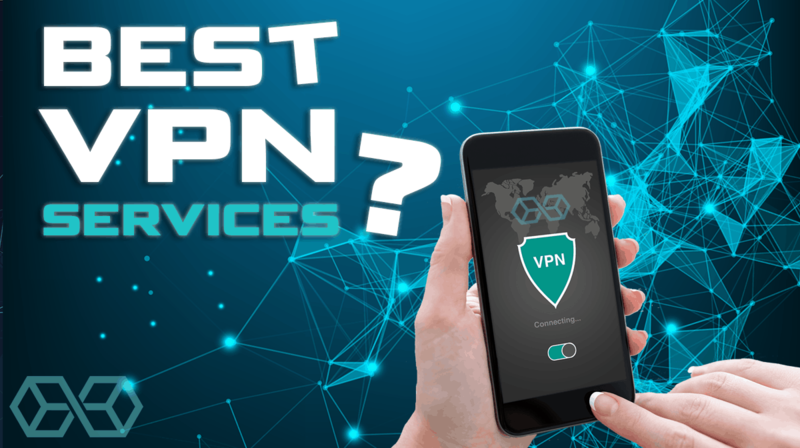 But like anything else, the “best” something depends on what you plan to do with the “something.” With that insight as our guide, we’ve picked out the best VPNs for various uses, rather than competing with everyone else to name the best overall VPN. For each use case, we picked out the characteristics that are most important and found quality VPNs that score high on those characteristics. For example, one thing that is surely important for beginner VPNs is ease of use. Some excellent VPNs have complex interfaces or require you to configure them from the command line. A VPN like this won’t make it into the Best Beginner VPNs list. And so on. 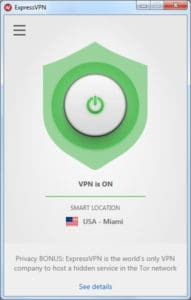 If you’re just here to find a decent all-round VPN service that is private, trustworthy, reasonably priced, and reliable, then we recommend ExpressVPN and NordVPN. 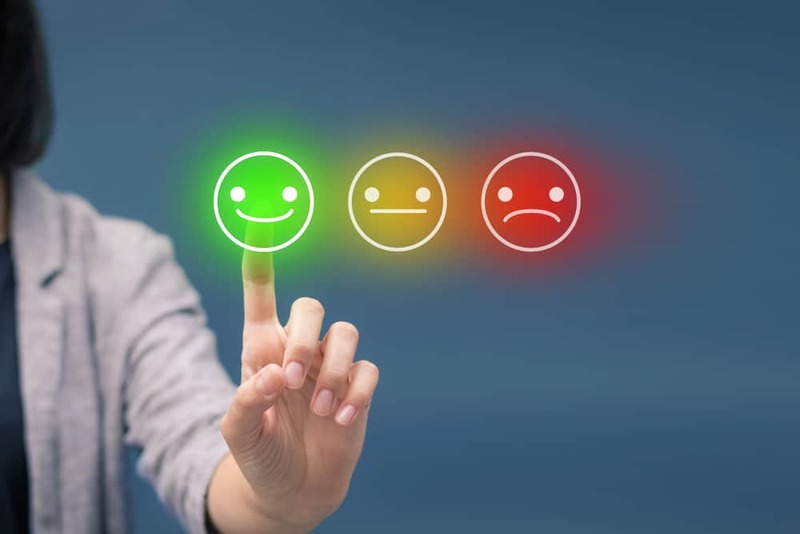 You can find more about each of these providers in our comparison article in the yellow note below, which directly compares the features of each. Note: If you are really looking for the best overall VPN of 2019, check out our ExpressVPN vs NordVPN comparison. 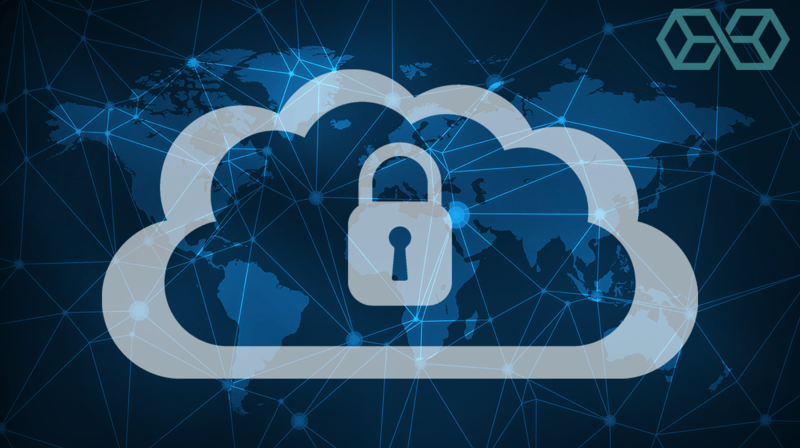 To learn more about the various VPNs available, their pros and cons, and the best options for specific use-cases, read on! Short answer: Yes, if you value your privacy or are concerned with protecting your personal information from unscrupulous actors on the Internet. That’s really all there is to it. I just use my computer for the basics. I use email, write some poetry or keep a spreadsheet with my diet results, play games, post cute pictures of my cat, that kind of thing. When you talk about protocols and command line interfaces, and stuff like that, I leave the room. We’re putting you in the category of Beginner. There’s nothing wrong with this. Hundreds of millions of computer users around the world are in this category. You want to use your computer and not worry about all the technology behind it. As far as VPNs go, we think you want something that just works. In particular, the best VPNs for beginners should have simple, clear user interfaces. 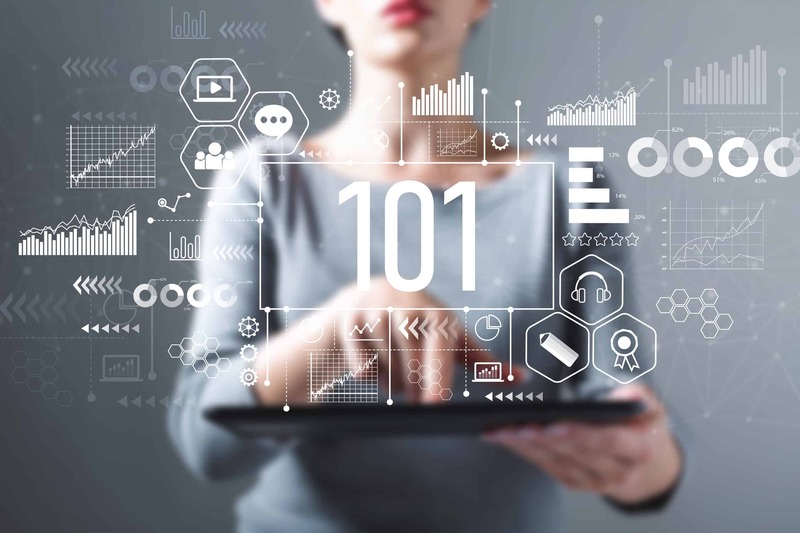 Easy to install, easy to configure, runs automatically, and doesn’t require you to learn about the kind of stuff we’ll be talking about later in this article. If you are looking for a beginner VPN, it is hard to go wrong with NordVPN. This service offers clients for virtually any kind of computer or mobile device you might have, and is super easy to set up and use. While NordVPN offers all sorts of customization options, you can get it set up and connected with the defaults in just a handful of steps. While it may not be the #1 choice in every category, NordVPN works well for any of the use cases we describe in this article. With its support for up to six simultaneous connections, and a 3-year subscription whose total price rivals that of many competitors yearly fees, NordVPN is a great option for beginners. Speaking of beginner-friendly VPN services that do everything well, ExpressVPN is another option to consider. This service takes a bit longer to set up and get connected than NordVPN. The only real drawbacks for a beginner who wants to use this service is that it is more expensive than competitors like NordVPN, and it only supports three simultaneous connections. If you are a serious gamer, choosing a VPN can be tough. As you are probably aware, using a VPN will usually slow down your Internet connection, and possibly add latency. Neither of those is good. At the same time, you may need a VPN’s geo-spoofing ability to even log into some of the best games out there. And if your ISP isn’t of the highest quality, or is one of the creepy ones that throttles user connections, a VPN may even speed up your connection or reduce your ping times. Another thing to consider is where your VPN has servers. Particularly during beta or right after launch, many games are only available in certain countries or regions of the world. Or they may be available at different prices depending on where you are. A VPN that can make it look like you are located somewhere else could be your key to the best games available. If a fast connection and low latency are what you crave from a gaming VPN, you should check out VyprVPN. Golden Frog, the company behind VyprVPN, uses its own network and hardware to give you the best speed possible and shield you from DDoS attacks. It also locates servers near major gaming centers to minimize latency. And its encryption hides your gaming activities from your ISP, so you won’t have to worry about the ISP throttling you in the middle of a crucial fight. But don’t take our word for it. IGN, one of the world’s top game and entertainment media companies, included VyprVPN in its article, “The Best VPN for Gaming 2019,” January 19, 2019. Golden Frog also offers something called Outfox, an optimized gaming network designed to give you even better gaming results. We’ve not tried this beast, but it is available if you want to give it a try. 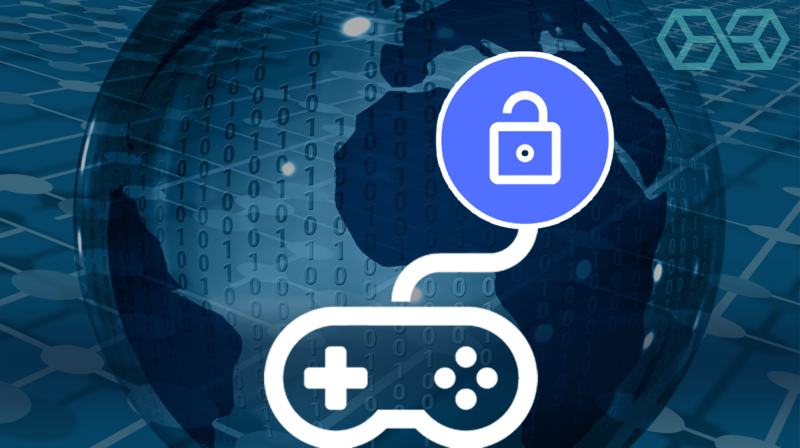 Wondering what makes NordVPN a great gaming VPN? Three things. Its servers are fast and by encrypting your communications may get you around any throttling attempts by your ISP. It has over 5,200 servers in 60 countries including game development centers like the USA, Japan, and South Korea. It provides protection against DDoS attacks. Combine all those with a great price and you have yourself a great gaming VPN. This is perhaps the most common reason people choose a VPN. We’ve all seen the reports about governments spying on their own citizens. And about corporations gathering any personal information they can, with or without our permission. It makes sense to do what we can to protect ourselves. A VPN that is secure and protects your privacy needs to have several specific characteristics. First, it needs to use high powered encryption. Some VPNs use old encryption algorithms that are vulnerable to attack or algorithms that have been intentionally weakened by the NSA for ease of spying. Next, it needs to keep as little information as possible about you. A VPN will keep your ISP and others from seeing what you do online, but the VPN service can see everything. That is unavoidable. A VPN is vulnerable to legal pressure from the local government which can force it to turn over any information it has about you. This is why you need a VPN that records as little of what you do as possible. The phrase “No-Logs VPN” signifies a service that doesn’t keep any information that connects you to specific activities online. As you will see when we talk about specific services, some VPNs have proven themselves, either in audits by external experts or in action after their servers were seized by a hostile government. If you want security and privacy from a VPN, it would be great to have some kind of proof that it does what it claims to do. TunnelBear VPN addresses this concern with annual independent audits. Add this evidence to the company’s excellent privacy policies, the ability to have 5 simultaneous connections and use Bitcoin for payments, and you will see you are in good hands. On the down side, TunnelBear has 1,300+ servers, but they are only located in 22 countries. If you need access to Africa, the Middle East, or South America, you might want to check out our other picks. 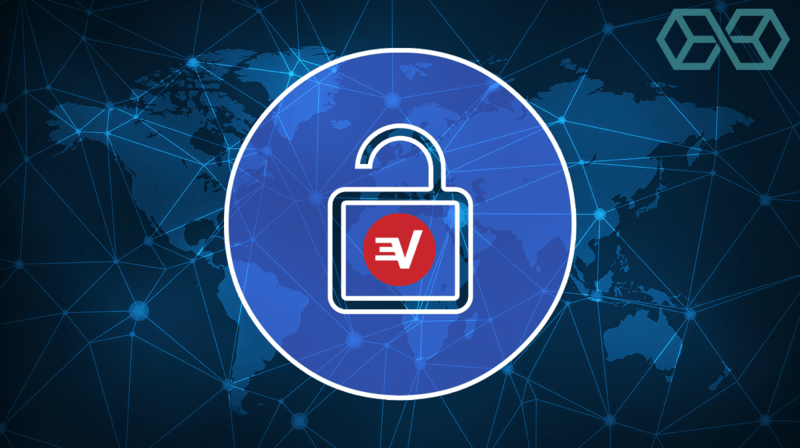 When it comes to privacy and security, ExpressVPN is again one of the leaders. 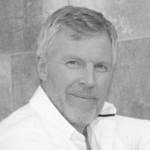 It offers state of the art encryption, and its privacy bona-fides are proven. Twice now, ExpressVPN has been unable to turn over records to authorities because it doesn’t keep any personally identifiable records of its customers to turn over. If you are interested in the story, check out our ExpressVPN vs NordVPN article. Although they are not exactly the same, they are similar enough that we are grouping streaming and torrenting together. A very common use for VPNs is streaming media from sites you would not otherwise have access to. For example, you might be a US citizen with an addiction to a series on one of the US streaming service. But you and the family are about to spend the summer with relatives in Spain. You might think you are all set. You have a subscription to the streaming service, so you’ll just log in from your cousin’s villa in Barcelona and not miss a beat. Right? Most streaming media services control what media can be seen in any given location. Their contracts with content providers usually specify where content may be shown. A content provider might have one contract with your streaming media service to provide its content in the United States. It might then have another contract with a different streaming media service to provide its content in Europe. And so on. To enforce their contracts, the streaming media services employ something called geo-blocking. 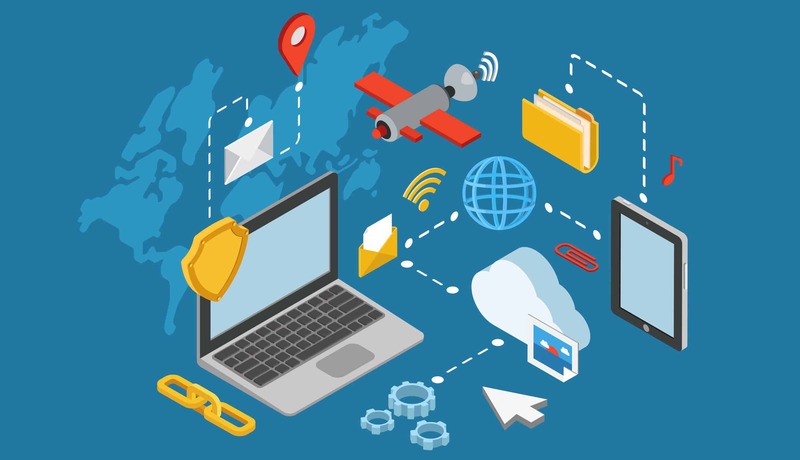 Using your IP Address, they determine whether or not your computer is in a location where you are allowed to view the content. It may sound ridiculous that you can’t use the subscription you pay for simply because you are visiting your cousin in another country, but that’s the kind of game the big media companies like to play. You might think that you are fine because you have a subscription to one of the big global streaming services like Netflix. But you would be wrong again. You may have a valid subscription to Netflix in the United States, but if you look carefully, you will find that you have a subscription to Netflix USA, not Netflix anywhere in the World. You could get a second subscription to whatever branch of your streaming media service is available in Spain, and then cancel at the end of your vacation. But you will probably be disappointed even then. Again using Netflix as an example, each branch of the company has its own library of content tailored for the part of the world it covers. So your favorite series might not be available in Spain at all. Or it might be available, but only in Spanish instead of English. This is where VPNs come into the picture. A VPN can do what is known as geo-spoofing. Most VPNs have servers scattered all over the world. When you connect to one of these VPNs, you can choose the location of the server you want to use. 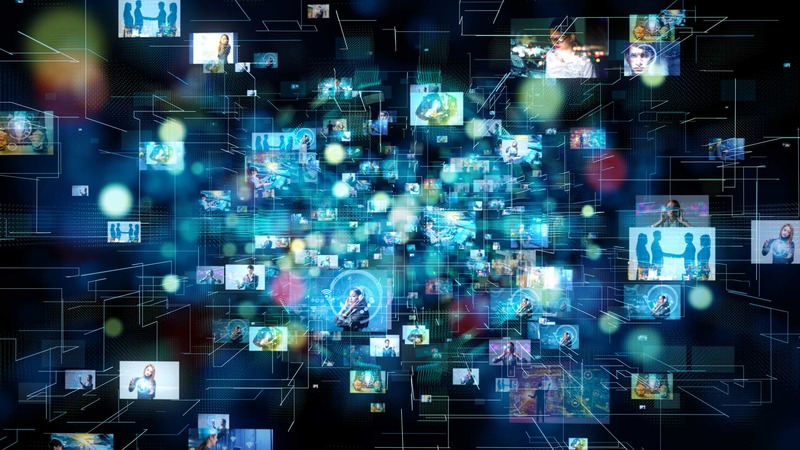 Your computer connects to the server through an encrypted connection, with the server acting as the middleman between your computer and the streaming media service. When you log into the streaming service, it looks to them as if you are sitting at that server somewhere in the United States, rather than using a VPN connection from that lovely Spanish villa. Why? Because IP Addresses are determined by the physical location of a computer (or server). So if all goes well, the streaming service will think you are in the United States, and will give you access to the content. 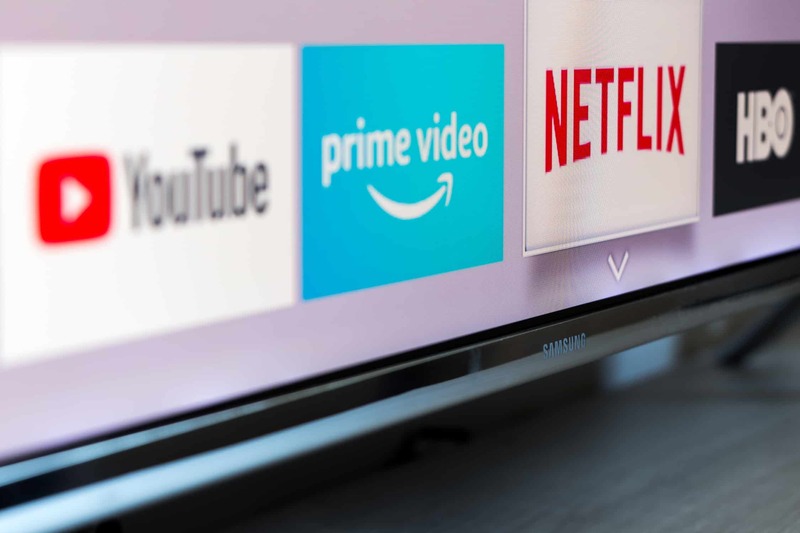 The streaming media services try to prevent this kind of connection, so there is an ongoing war between VPNs and streaming services. If streaming is important to you, you’ll want to use a VPN that supports streaming (not all do) and that is good at it. 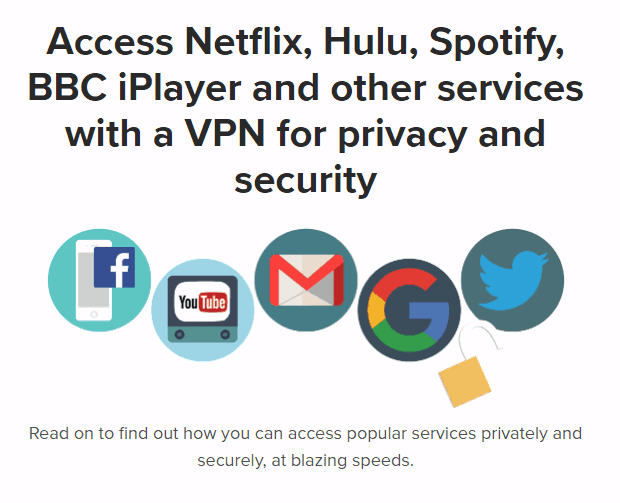 In particular, you will want a VPN that is good at unblocking (evading the geo-blocking) of Netflix and BBC iPlayer, two very popular services that are good at detecting and blocking access from VPNs. Be aware that streaming copyrighted content without permission is considered illegal in most of the world. So is logging into your streaming service from a location outside the service area illegal? Maybe. The legality depends on where you are located, where the content is located, and assorted other issues. If nothing else, you are probably violating the Terms of Service (ToS) of the streaming media service. You had best take care to protect your IP Address just in case. Make sure you use a VPN that guarantees your IP Address never gets exposed while streaming. Torrenting (using BitTorrent or similar programs) involves downloading content to your computer, instead of just watching it stream past. While the technical details are different, the end result is much the same. If you download copyrighted content without permission, you are probably breaking the law. Even if you are not breaking the law, you may be violating the ToS of whatever service distributes the content. A VPN that uses shared IP Addresses really helps too. If someone is trying to get you they might be able to correlate when you are online with when a VPN server connects to a particular website. But if your VPN uses shared IP Addresses there will be lots of people all doing different things, all displaying the same IP Address to the world. This makes it much harder to pick out any individual from the crowd. You also have to contend with the fact that some VPN services do not allow torrenting on their service. And some VPNs simply don’t work very well for torrenting. 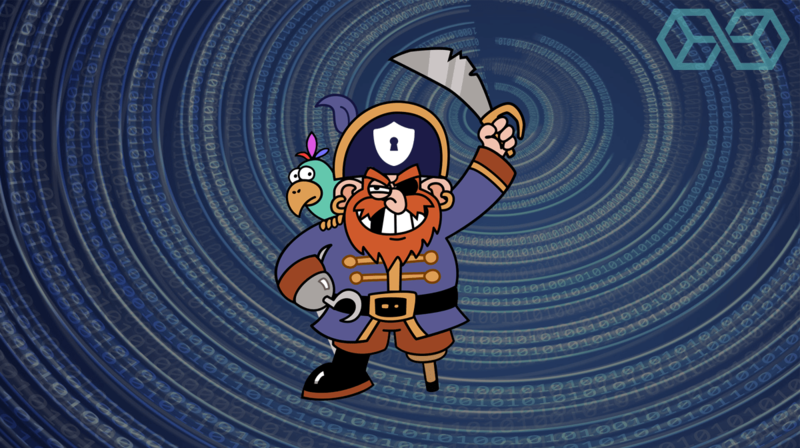 Note: If your specific use-case is torrenting, you might find our article which investigates the best VPNs for torrenting here. This Romanian VPN service works well both for streaming and torrenting. CyberGhost hits all of the bullet points we mentioned above while keeping its price low. It has 3,700+ servers in 60 countries, which will give you plenty to work with when trying to get access to the best content in the world. While this isn’t the fastest VPN out there, it is fast enough for enjoyable streaming, and its 7 simultaneous connections means that the whole family can use the service at once. One possible drawback for CyberGhost is that it has been acquired by a company that used to do some things that are now considered marginal business practice. That said, we haven’t heard any specific complaints about the way CyberGhost is being handled. We don’t think you are at risk by using this service, but you will have to make the final decision yourself. This premium service meets all the requirements listed above, making it a great service for streaming or torrenting. All its clients block DNS and IPv4 leaks to protect your identity when streaming or downloading content. ExpressVPN has over 3,000 servers in 94 countries, giving you incredible geographic coverage. It also offers a service called MediaStreamer, that works with things like your PlayStation and various smart TVs. MediaStreamer isn’t a full VPN in that it doesn’t encrypt messages. Instead, it allows you to use ExpressVPN’s network to get access to streaming services that you wouldn’t otherwise be able to reach. Your desktop devices aren’t the only things that need protecting. If you use a smartphone or tablet, it is vulnerable to all the same risks as your desktop machines. In some cases, the risks are even worse. How so? If you use the public WiFi services at cafés, hotels, and other locations, your privacy and security are in great danger. That’s because those networks are prime targets for hackers and spies as well as generally easy to infiltrate. Using techniques such as Man-in-the-Middle attacks and Rogue Hotspots, hostile actors can easily intercept messages between your mobile devices and the WiFi network. A VPN protects you by encrypting messages before they pass over the public WiFi network. This way, even if a bad guy intercepts your messages, all they will see is indecipherable gibberish. One of the great things about ExpressVPN is the consistency it provides across platforms. The native Android client looks and functions like the native iOS client, which looks and functions like the Windows client and so on. This improves usability since you don’t need to learn different procedures for different devices. ExpressVPN is also fast and secure. A single tap automatically connects you to the server that ExpressVPN believes will give you the best performance. It is an ideal tool for protecting yourself from coffee shop hackers and other threats. One drawback to using ExpressVPN for mobile devices is the limit of three simultaneous connections. I don’t know how you work, but this reviewer at this very moment has an Android phone and two computers connected to my ExpressVPN account. If you are like me, you might want to use a service that offers more connections, such as our second pick. 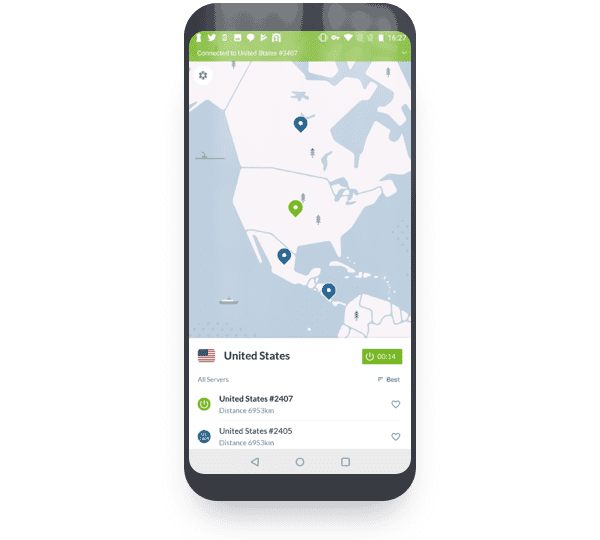 The NordVPN service also offers native Android and iOS clients that function virtually identically. And both function very similarly to the Windows and macOS desktop clients. 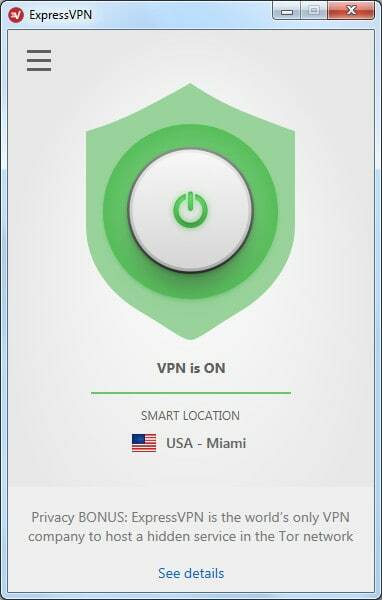 Like the ExpressVPN clients, it takes just a single tap to get connected to what NordVPN thinks will be the best server for your current situation. Where NordVPN is better for use with mobile devices is in the number of connections. As we discussed a moment ago, this reviewer regularly maxes out his three ExpressVPN connections. I would be hard pressed to max out six. Despite writing product reviews all day, I literally don’t have enough hardware to use that many connections. 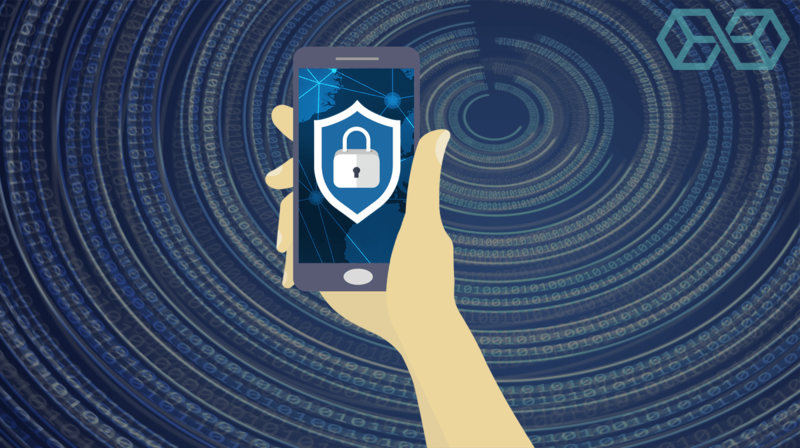 The number of devices you need to connect simultaneously may well be the deciding factor on which of these two great mobile VPNs you choose. Designed by the United States Naval Research Lab, it was intended to provide anonymous communications for intelligence operatives. While a VPN can protect your privacy, you need to trust the VPN. Tor is great at giving you online anonymity without the need to trust anyone. The way the Tor network is structured, no single node in the network can both know your IP Address and read the contents of the messages you send and receive. Tor sounds great but it does have weaknesses. There are ways that a sufficiently motivated enemy could monitor your computer and try to correlate the timing of messages between your computer and when they exit the Tor network. A statistical analysis might be able to identify you, or at least be enough evidence for guys with guns to come bust down your door in the middle of the night. There are a few other drawbacks to using Tor. One is that most of the exit nodes of the network have known IP Addresses. Some web sites and service block access from any of those IP Addresses. Perhaps more worrying is that your ISP and anyone spying on your Internet connection can tell you are using Tor. This can attract unwanted attention from organizations that don’t like the idea of the little people having the ability to communicate anonymously. Using a VPN with Tor can resolve these problems. The VPN can hide the fact that you are using Tor from anyone other than the VPN service itself. And using the VPN to connect to the outside world gets around the problem of blocked Tor exit nodes. But you need to do this right. 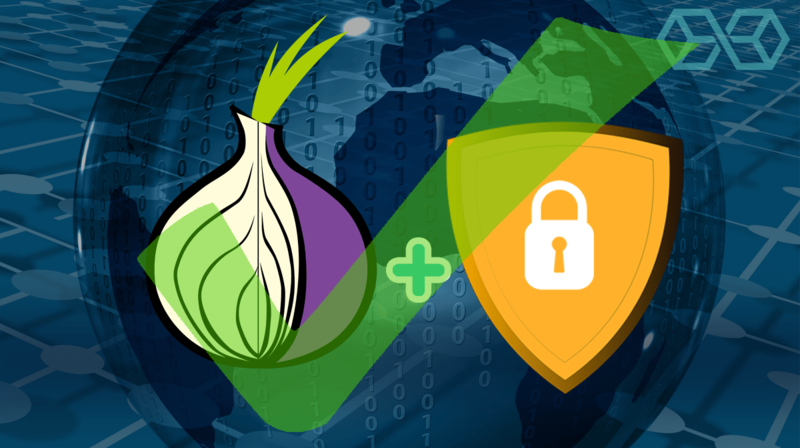 The Tor over VPN approach described in our Tor VPN guide is the way to go. Compatibility with Tor. Some VPN services don’t seem to work well with it. Strong encryption. You don’t want anyone spying on your internet connection to know you are using Tor. Speed. Tor is inherently slower than a regular internet connection or even a VPN connection. The last thing you want is a slow VPN to make things even worse. Be aware that some VPN services such as NordVPN offer a preconfigured Tor over VPN setup. While this is definitely convenient, some security experts worry that this approach could make you vulnerable to timing attacks run by your VPN service. Whether this is a realistic worry or not, the safest approach is to set up the VPN normally and simply launch the Tor browser after the VPN connection is established. IPVanish makes a good case for being the best VPN to use with Tor. It has over 1,300 servers in more than 50 countries, which is great. But perhaps more important, it claims to own all its own core infrastructure. This makes it easier for it to guarantee that there are no logs kept of your online activities. If you are going to go to the trouble of running Tor over VPN, you want to minimize the chance of anyone spying on any part of your connection. Between IPVanish and Tor and an “anonymous” account paid for with Bitcoin, you can go a long way toward protecting yourself against all but the most potent privacy threats. Even ignoring the special Tor over VPN servers, NordVPN is a great choice for working with Tor. It has strong encryption, a huge network of servers, and all the privacy features you might want built in. Its no-logs status has been confirmed in a 2018 audit by PriceWaterhouseCoopers AG. As a Linux user, you have fewer options for choosing a VPN than most. 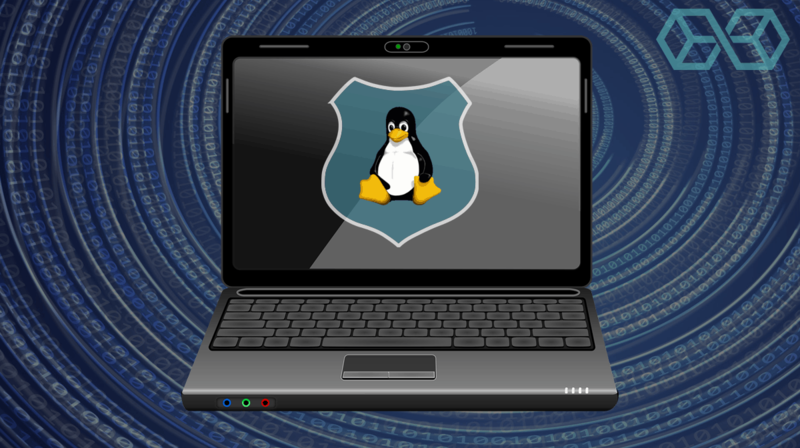 There are very few VPN services that offer important capabilities like a Kill Switch for its Linux users. Even fewer (we know of only a handful) services that offer an actual GUI client rather than forcing you to do everything at the command line. A GUI client is important because it guarantees that you get everything set up right and get to take full advantage of the VPN service’s capabilities. While we are sure you could hand-edit iptables entries if you had to, letting the VPN client do all the grunt work for you is a better way to go. As you’ve seen throughout this article, ExpressVPN is one of the best VPNs for virtually any use. Is shouldn’t be a surprise that it is also one of the few VPNs with a native Linux client. Combine that with all its other capabilities and this is an easy pick for one of the best Linux VPN services. NordVPN is another service that shines across the board for almost every use case. It has also added a native Linux client. Combine its highly secure, no-logs service, its thousands of server spread across the world, six simultaneous connections, and a great price on a long-term contract, and you have another winner. A VPN service gives you privacy, but not anonymity. A VPN prevents others from seeing what you are doing online, but the VPN service itself can see what you are doing. After all, you are using the VPN service’s encryption to protect communications between your computer and the VPN server. The VPN server needs to encrypt and decrypt the messages going between your computer and whatever you are connecting to on the Internet. There is nothing you can do about a VPN service knowing your IP Address. 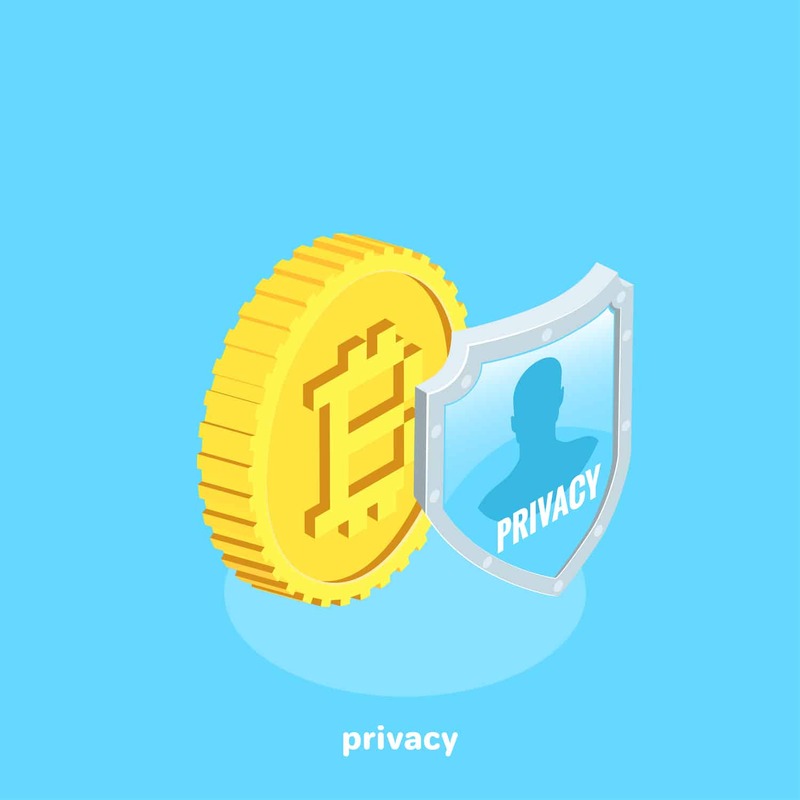 But you can reduce the amount of additional information they have about you by paying for your VPN service with Bitcoin or another cryptocurrency. 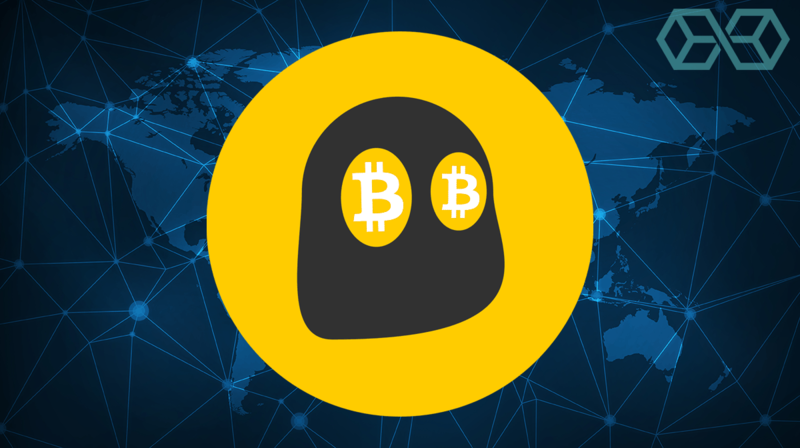 As you probably know, Bitcoin and most other cryptocurrencies aren’t truly anonymous. But if you are careful with how you use them, they make it hard for all but the most powerful organizations to trace back to you. If you set up a new email address unrelated to anything else you do and use that along with Bitcoin to pay for an anonymous VPN account, you have added another layer of defense, and removed one additional piece of information that the VPN service has about you. While this wouldn’t stop some international spy agency from tracking you down (they have ways to track Bitcoin back to its purchaser) it might well drive off people with fewer resources to dedicate to the job. A fast, secure service that supports torrenting and streaming. CyberGhost has a no-logs policy, good prices, mobile device support, and servers in 60 countries. It is based in Romania, a country that doesn’t impose any logging requirements and is generally considered privacy friendly. And of course, it accepts Bitcoin. A fast, secure network with advanced security and privacy features, PrivateVPN doesn’t leak your DNS or IP Address and its clients have Kill Switches. It gives you six connections, and has no problems with torrenting or streaming. One possible drawback is that it is based in Sweden, which does have some mandatory ISP data retention laws. Reportedly the company does not keep any logs since it is a VPN and not an ISP. Whether this will remain the case in the future is an open question, but for now, it appears your privacy is safe with PrivateVPN. 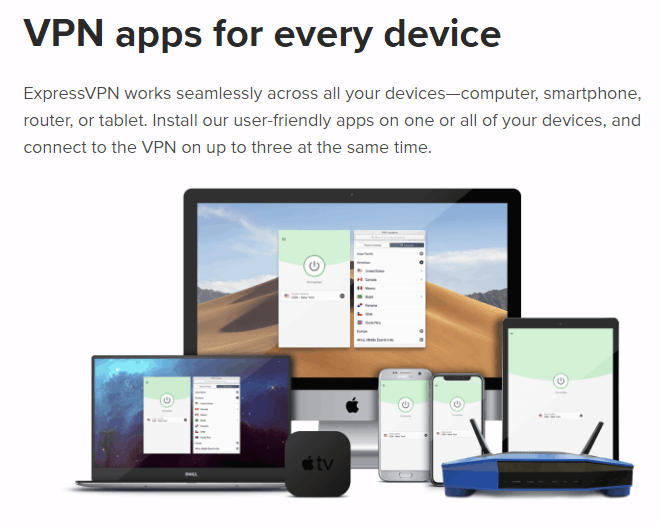 Typically, a person will want to use a VPN with computers or mobile devices that use the common operating systems: Windows, macOS, Linux, Android, or iOS. But what if you want to install the VPN on your router so the entire household or office is covered at once? Or what if you want to protect some kind of alternate device like a Raspberry Pi, Playstation, or an Nvidia Shield? The trick for this will be finding VPN services that support the alternate devices you care about. Not to be boring, but we know of two VPN services that are not only top notch for almost any use case, but that support more alternate devices than virtually anyone else. NordVPN provides tutorials for using its service with dozens of alternate devices. Many of these are specific types of routers, but there are lots of other interesting devices as well. 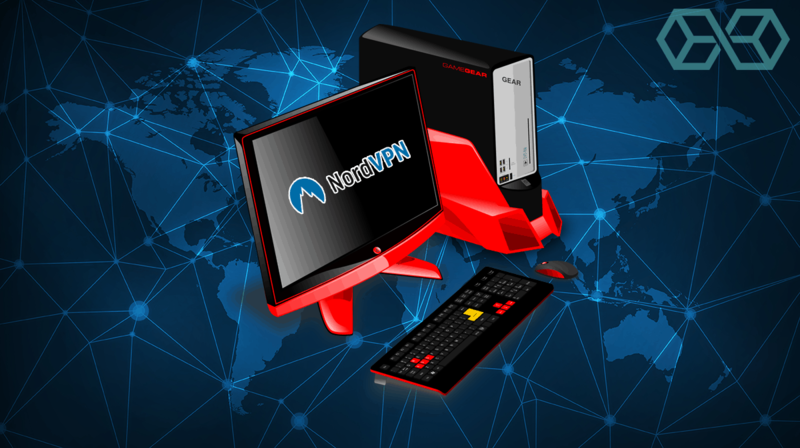 From Synology NAS (Network Attached Storage), to the IPFire open source firewall, to the Raspberry Pi single board computer, NordVPN has a solution for you. To see the complete list of devices NordVPN supports, visit this Tutorials page. ExpressVPN also supports numerous devices beyond the standard set. It provides clients (apps) for a range of routers, Chromebooks, and more. There are also instructions for manually configuring devices like Chromecast and Roku to talk to the ExpressVPN network. To see the current list of devices that ExpressVPN supports, visit this Download page. P.S. 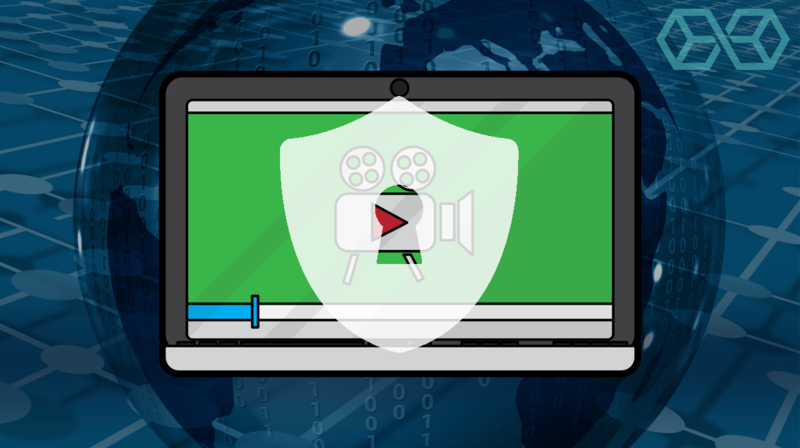 Don’t forget about the ExpressVPN MediaStreamer service if you are trying to connect a console or Smart TV and don’t need the encryption that a VPN provides. The VPN industry is growing rapidly, with hundreds of services fighting for a piece of the market. To make themselves stand out from the crowd, VPN services have begun to differentiate their offerings based on various use cases. Bill is a freelance tech writer who focuses on pro-freedom technologies like 3D printing, VPNs, and cryptocurrencies. He started investing in BTC in 2014 while working at a stealth 3D printing startup in Puerto Rico.